Discover our wide selection. Schedule your free consultation online now. Providing a wide range of beautiful custom made window coverings for our customers. It’s important that the window treatments of your Moorpark office or your Westlake Village home serve more than just an ornamental purpose. While beautiful blinds and shades certainly can make the indoor environment cozier and complement the existing décor, they first and foremost need to block or filter sunlight. Whether it’s pleated Roman shades or some variant of wood or faux wood blinds, the first job these covers need to be able to do well is to protect you from harsh sun glare and UV rays. Of course, that doesn’t mean you have to compromise on some aspect. 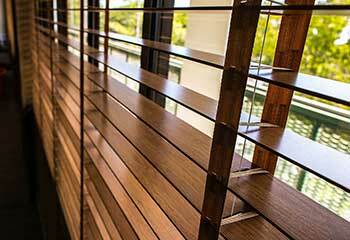 It just means that some careful considerations need to take place before choosing your new blinds. There’s a range of options when it comes to how well a particular set of window blinds will diffuse and block sunlight. The type of room in question will determine that. Bedrooms and nurseries, will, naturally, require more privacy and to have the option to achieve complete blackout conditions. Kitchens and living rooms, however, can do well with window coverings that filter sunlight but don’t block it completely. The same goes for office spaces. Some natural lighting can improve employee productivity and motivation, but too much of it will have an adverse effect. 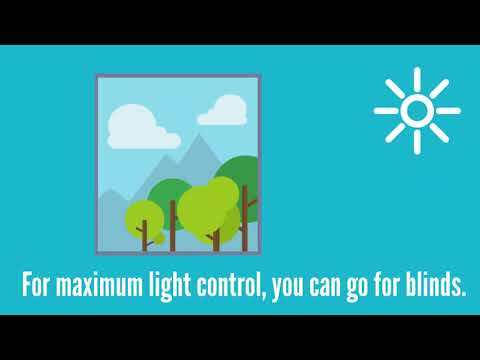 If you want to add functional room darkening or light filtering window coverings to your property near Thousand Oaks or any of the surrounding areas, Agoura Hills Blinds & Shades is here to assist you. While most types of blinds and shades have manual cordless options, for those seeking more childproof products, nothing beats the convenience and smooth operation of motorization. 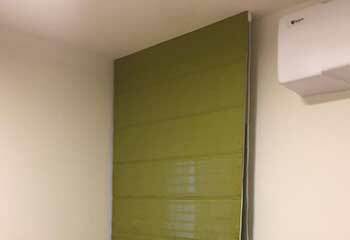 Apart from being far easier and faster to use, motorized blinds and shades also make for a great way to lower your energy expenses. By setting them to operate on a schedule, or by having self-adjusting blinds installed, you can ensure your Calabasas property sees a decrease in HVAC bills, especially in the long run. Somfy, one of the best brands out there, offers all sorts of unique features that allow motorized shades to operate via voice commands given to your virtual assistant, be it Google Home, Alexa, or various other types. The importance of your window coverings being custom made to fit should not be neglected. The careful measurements ensure that unfiltered sunlight won’t introduce from the sides, which can cause significant inconveniences, among other issues. 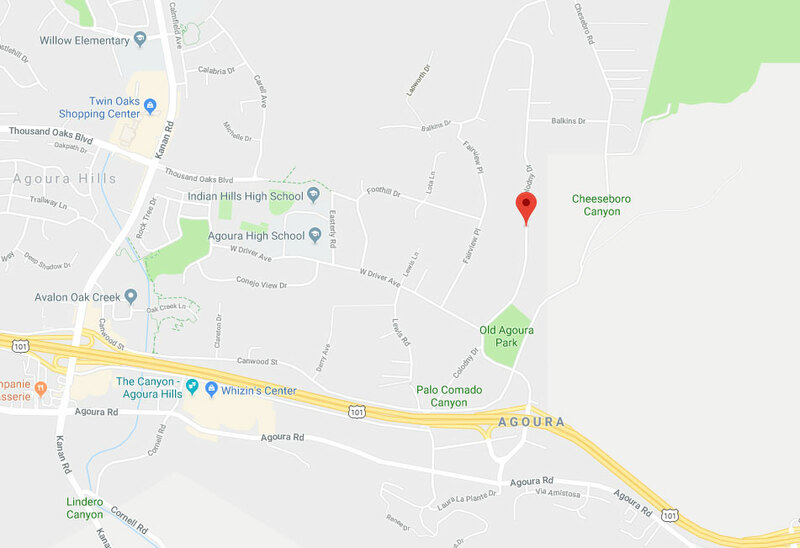 Get in touch with Agoura Hills Blinds & Shades to schedule a free consultation appointment, during which our experts will provide all the information you need to choose the best covers for your home or office windows. Whether you reside near Simi Valley, work somewhere close to Malibu, or own a piece of property anywhere in the greater LA area, you can count on our help. You can count on our consultants’ friendly service and expert advice. 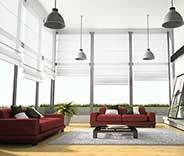 Our new collection follows the latest trends to bring you beautifully-designed blinds and shades. High-quality window treatments at competitive, affordable prices. 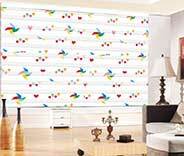 5-years to life warranty on various blinds, shades, curtains and drapes. Check out our recent project summaries below. We were asked to install shades that will provide a good view of the outdoors with UV protection. Click to learn more. 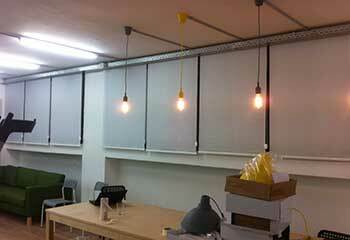 A local start-up just got its office space, and needed automatic blinds put in. Read about one of our biggest recent projects here. A local family wanted some new roller shades put in, and our team obliged them. Click here for the details. One of our customers ordered some custom faux-wooden blinds. Read the details here. I am absolutely in love with my brand-new roman shades! 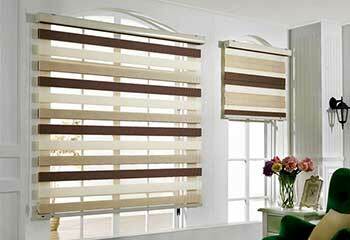 Thanks to your specialist and my free consultation, the choice on which blinds to get was easier than ever! Thanks! I was wondering what to do about the old windows in my living room, and your specialist had just the idea. My dining room looks stunning with our new silhouette shades. Thank you! Great selection, affordable prices, and the free consultation was really professional. Got new blinds for my home-office and couldn't be happier with the result. Thank you. Schedule your free consultation today to get the best blinds and shades solutions!